At Saturday’s end-of-season Hockey Banquet, the leadership team for next season was announced along with perpetual award winners for the past campaign. Rising senior Brandon Hickey will wear the “C” and will have three assistants: Jordan Greenway, Nikolas Olsson and Bobo Carpenter. Coach David Quinn announced that junior goalie Connor LaCouvee is graduating in three years and will be leaving the program. It is expected he will pursue the graduate transfer option as Robbie Baillargeon (now at Arizona State) did last Spring. 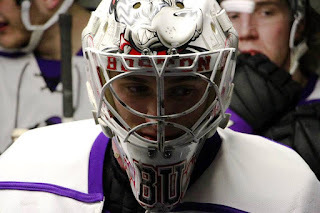 With his departure, the Terrier goaltending corps for next season will be Jake Oettinger, Max Prawdzik, who will return after his stint with NAHL Lone Star, and Nico Lynch, who joined the program in January. 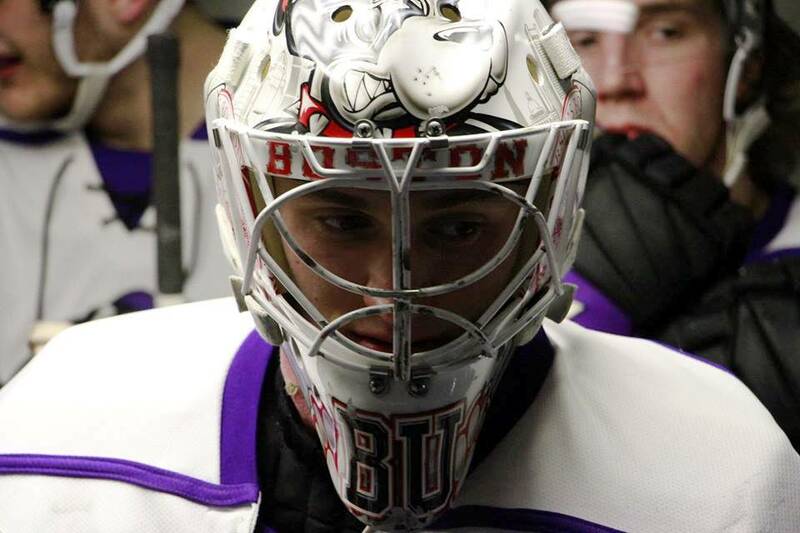 On Friday, Prawdzik authored his first shutout for Lone Star in the Brahmas playoff opener, a 3-0 win against Wichita, in which he stopped 23 shots. He followed that up with a 7-3 win Saturday for a 2-0 Lone Star lead in the best-of-five South Division Semifinal series. Keller was named the 2016-17 recipient of the Tim Taylor Award as the top freshmen in Division 1 hockey. 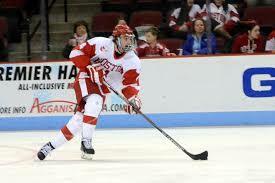 He becomes the third Terrier to receive the award in the past 11 seasons, joining Kieran Millan (2009) and Jack Eichel (2015). ► Greenway and Keller have been named to the Team USA squad that will compete in the 2017 IIHF World Championships in Germany and France next month. ►Information about next season’s schedule has begun to emerge. The season will kick off at home on September 30 against Union College—the earliest start in program history. With Notre Dame’s departure from Hockey East, the conference will employ an unbalanced schedule of 24 conference games for each school. BU will play three games with Connecticut, Maine, Merrimack and Providence and two contests with the other league teams. Besides Union, BU will host Mankato State (2) and defending NCAA champion Denver, while away out-of-conference games include Quinnipiac and Arizona State (2). The Terriers will resume the every-other-season Red Hot Hockey series against Cornell at New York's Madison Square Garden. 2017 recruit Brady Tkachuk and 2018 recruit Joel Farabee each recorded an assist in Team USA’s 5-4 win against Russia in the IIHF World U18 Championships in Sweden. With two wins under its belt, Team USA will next face the Czech Republic on Monday. 2017 recruit Shane Bowers was named a third-team USHL All-Star. He finished tied for 10th in USHL scoring with 51 points (22G, 29A). The Halifax, Nova Scotia native was ranked #16 among North American skaters in the NHL Central Scouting’s final ranking. He scored a goal and an assist in last night’s 4-1 playoff win against Fargo. Fellow 2017 recruit Hank Crone finished tied for third in USHL scoring with 62 points (24G, 38A). Former BU captain Wade Megan scored a goal and assisted on the overtime game-winner as AHL Chicago edged Charlotte, 4-3, in the regular season finale to clinch the Central Division title. Megan, who made his NHL debut with St. Louis earlier this season and earned a spot as an AHL's first-team all-star, finished the year with 66 points—tied for fourth in the league. His 33 goals led all AHL skaters. Coach Clark Donatelli’s WBS Penguins have won the MacGregor Kilpatrick Trophy as the AHL’s 2016-17 regular season champions. 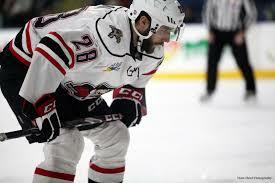 David Warsofsky, a second-team AHL all-star, scored 47 points for the Baby Pens, while Sahir Gill had 18 points.